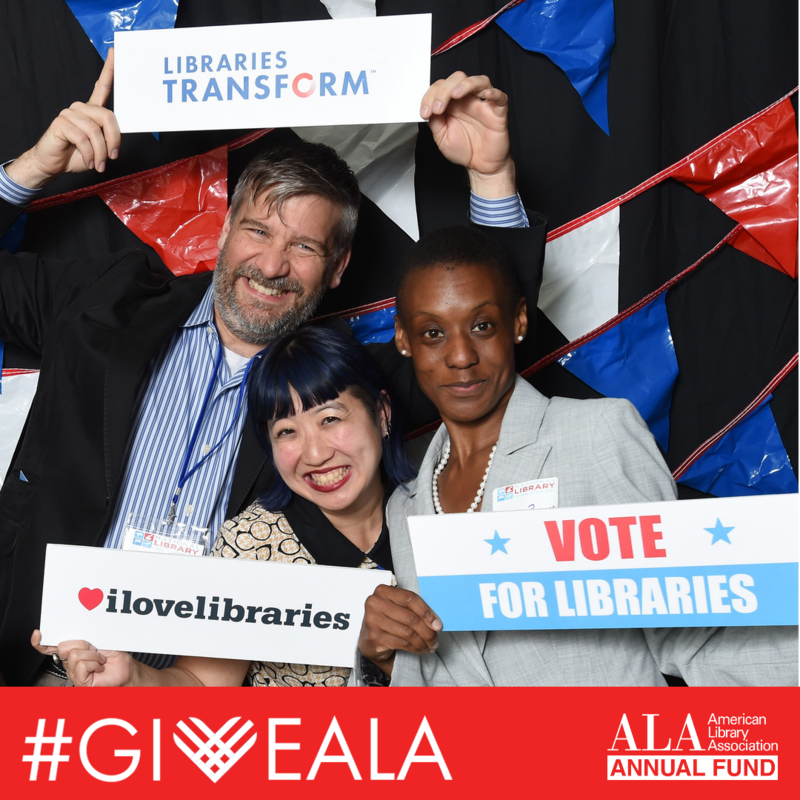 As a #GiveALA Ambassador, you can make a difference by actively sharing why you're supporting ALA's year-end giving campaign and encouraging others to donate. Get started now! Use the suggested social media posts and images below. Or get creative and customize them to make them your own. Remember! Always use the official #GiveALA hashtag and link to the ALA donation page (http://ala.org/donate). Mention ALA in your posts so we can thank you and share! 1. Announce your participation in #GiveALA on your social media channels. 2. Tag your colleagues and friends and encourage them to donate. Donors are three times more likely to donate when asked by a friend or colleague. 3. 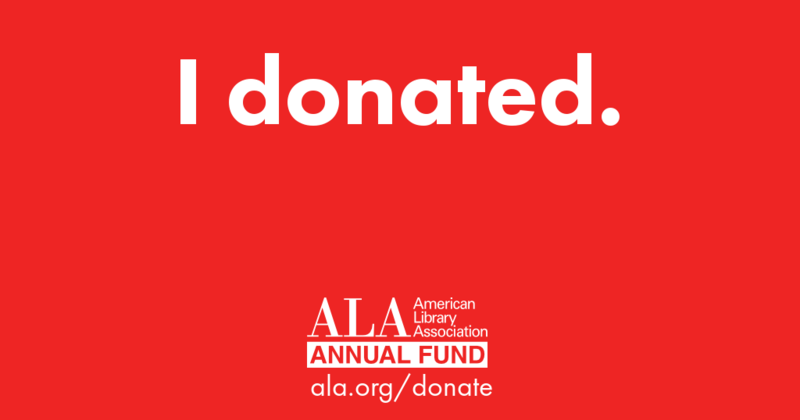 Consider starting a Facebook fundraiser to support ALA or share our Giving Tuesday fundraiser with your friends. 4. 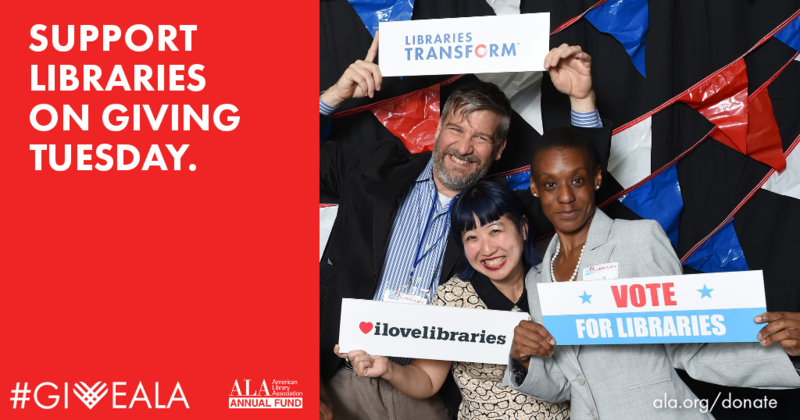 Help generate excitement by sharing posts from the ALA's Twitter, Instagram, and Facebook social media channels. 5. What's your #GiveALA Story? Share why you're choosing to support the #giveALA campaign on social media (video, image, or unselfie).